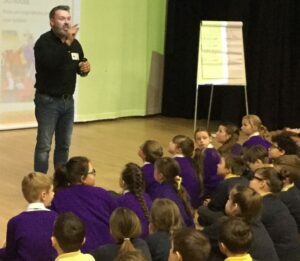 Ian performing his poetry for primary aged children in Cheshire! On a typical day in school I often begin with a performance of my work. My performances are packed with rhyme, rhythm, fun and interaction with the children and teachers. Listening and interacting with my work first thing in the morning acts as a great inspiration to the children and gives them some idea of the type of poetry I would like them to attempt later in the day. 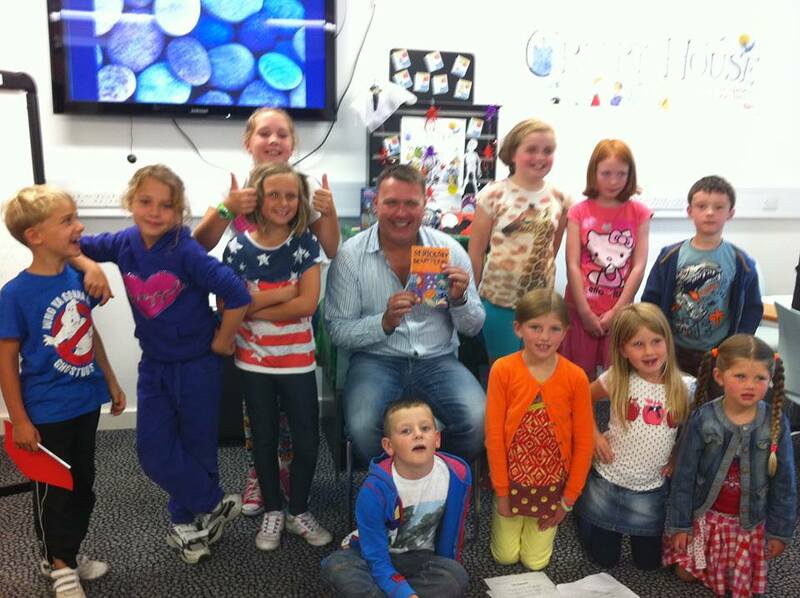 After the assembly I move onto my writing workshops. 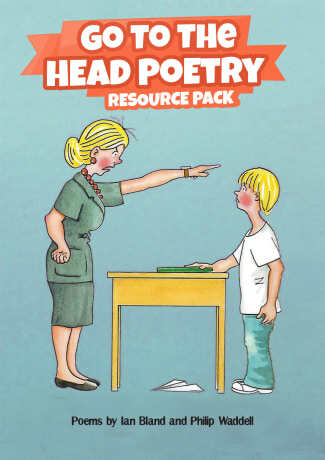 The whole idea of my workshops is to give the children an opportunity to plan, write, edit and perform their own unique piece of poetry. Children in KS1 often work in groups and partners to produce their work, however with KS2 I strive for the children to write more ambitious poetry in a variety of styles also with partners but ultimately individually. At the end of the day I like to lead a final celebration assembly where we choose a small group of children from each workshop to perform their work for the rest of the school. Many schools invite parents to this part of the day and as all the children are very excited and the workshops are all different, this always proves to be one of the great highlights of the day. Some schools like to focus upon certain classes or Key Stages within a day giving an hours’ session to different individual classes. However very often schools want to give every class an opportunity to work with me. To help timetable a day I don’t mind if I work with two or even three classes at a time. Larger sessions like this often take place in the hall where I like to make use of the school laptop, projector and flipchart. With very large schools, working with every class in one day can be difficult. For schools such as this I recommend two or even three days to give the children the maximum opportunity to produce their very best work. After school I often lead a book sale, usually in the hall, to give the children an opportunity to buy one of my poetry books. Please feel free to contact the local/ National press/TV to come into school to cover the event. In my experience they are often keen to run the story and this is free and positive publicity both for me and your school. The kind of work that I do in libraries can vary a lot. Some days I am based within one library and different schools and classes come out to me for performances and poetry workshops. On other days I can be busy travelling around to many different branches for a mini tour of that particular town- both of which I am very happy to do! Contact me for a personalised quote for your school. Please note I have an up to date and fully enhanced DRB certificate.